This novel should come with a warning: Not for the fainthearted. ... I was very intrigued. I also was not really sure what to expect and if I would enjoy it. You know what? While it was terrifying, I thoroughly enjoyed it and couldn't put it down. I picked Dark Whispers up on a Saturday morning and before I knew it I was already on page 178. This is because I had to know more - even though the content was really shocking. There is no time-wasting in Joanne Macgreor's first adult novel - from the first page we know we are dealing with a crazed gynaecologist, Dr. Trotteur, trying to 'fix' his patients because 'Doctor knows best'. We are then introduced to Megan Wright, a psychologist who has this desire to constantly save others. But it's a new year and she is adamant to stop being so good to other people - pretty hard when her job is to help make her patients better. One patient - Alta Cronje has been seeing Megan for about 6 months and there still isn't much improvement. We know she was operated on and it was after the surgery that she had developed post-traumatic stress disorder. Although she has blocked it out, Alta unfortunately is a victim of Dr. Trotteur's urge to fix. During one session, Megan finally learns what happened to Alta and is determined to find out who else has been hurt by Dr. Trotteur and also try to stop him. Stopping him is not that easy and there's also a price to pay for getting in Trotteur's way. Joanne Macgregor does not hold back in this novel and do not think you will spared any of the gory details - this doctor sexually mutilates women and ruins not only their bodies, but their minds and their spirits. I wonder if being a Counselling Psychologist, who works primarily with victims of trauma and crime, enabled Joanne Macgregor to be able to delve into the physically traumatic experiences these women face but also the more human experiences after the fact - the impact on the women and their loved ones. What makes this novel even more terrifying is the fact that it is a doctor, a trusted doctor. A gynaecologist, who has access to the most intimate parts of women's bodies when they are probably the most vulnerable. Whose patients and their families trust to do the right thing. That a qualified doctor can do such horrible things, get a way with it and continue practicing medicine also adds to the shocking nature of this story. Yet, the scariest thing is that Dark Whispers is inspired by an online news report Joanne Macgregor read in 2010 about the 'Butcher of Bega' - an Australian doctor who abused and sexually mutilated his patients. While Joanne Macgregor was inspired by this event, she writes on The Spark, that this 'isn't an account of the Australian "butcher"'. As Dark Whispers is set in South Africa, she explains that this story also gives 'glimpses into the shocking scenes in our public hospitals ... and the horrors of my public hospital scene were drawn directly from real experiences by patients at one or other of our state hospitals'. This is definitely a terrifying novel, made even more so by the real-life events that inspired it. But this is also a novel that pulls you in and is pretty hard to put down once you start reading it - even if along the way you might get a bit squeamish. I know I did. 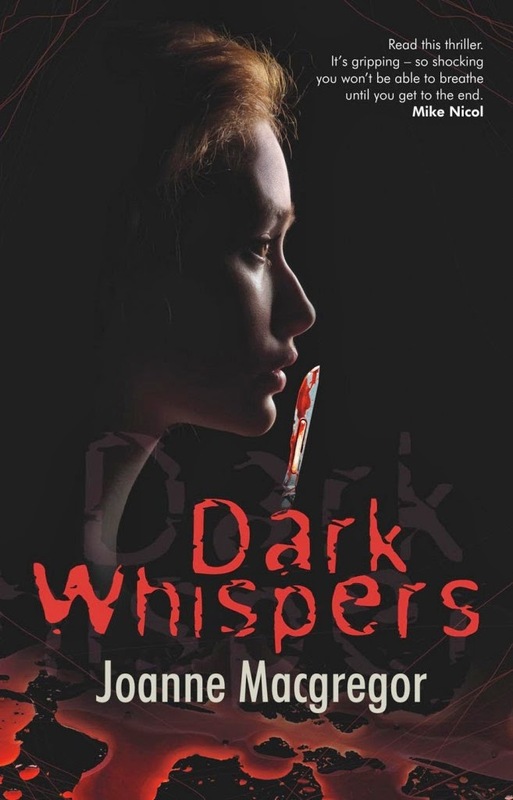 Dark Whispers is currently out in South Africa, but will be available via Amazon in the UK and US July 18th.